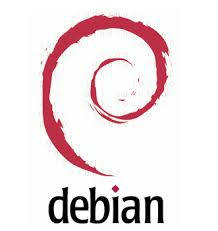 Q: Is Debian reliable since you are saying it’s “unstable” ? A: Unstable is a repository which is not that “unstable” as you might think. After being tested in the “testing” repo packages are sent here so they are quite stable enough. Things can break at some point but that has never happened with me or a few thousands and more users who use this repo parmanently! But then again, nothing is guranteed! Q: Is Debian rolling release? A: No it’s not. But I’m going to show you howto make it a rolling distro for you! Q: Is this guide for newbies? A: Sure! I’ll make this fairly simple for them. So now that the basic questions are answered let’s carry on with the guide! You will need the latest Netinst image, grab it from here. Choose your proper architecture, I have a 64bit CPU hence I use amd64. Generally i386 image works for most people. After you have downloaded the very small image [around 140Mb] it’s time to burn it using your favorite CD/DVD buring software. I’ll recommend using K3b, if you’re on Windows use cdrtfe. Now it’s time to insert the CD in your CD/DVD drive and restart your computer. Now I suppose the partitioning option comes up? If you want to use the entire hard disk select accordingly, else choose manual and proceed. The dialogues are very simple and user-friendly, resize he partition as you want and mount an ext3 partition as / and choose to format it! The rest is upto you, if you would like a separate /home partition then select another partition and format it as ext3 and mount as /home . Now when it starts checking your DHCP settings let it if you use DHCP, I don’t! Hence I just press enter to cancel and “manually configure my network” using the option named the same. Enter your IP,Gateway,DNS,Netmask, choose a Domain,etc etc. Now it will ask you to install package survey, do what you want, I just choose “no”, then it will ask you what to install Standard system and Desktop Environment are going to be selected by default, unselect them by using spacebar. Now it’s time to install Grub! Grub is GRand Unified Bootloader, it’s a GNU project, it is basically a Linux bootloader. If you have Windows or any other OS installed it will show you an option and ask you if it’s correct, if it is then let it install on MBR [Master Boot Record.] Now just let the install complete it will automatically spit out the CD, take it out and press enter. Time to boot into your debian! 2. Now comment out everything. We will select unstable repos or you may choose to delete them nstead as you wish. 4. Now you can go back and select a different mirror instead if you wish! Just replace the line “http://ftp.fi.debian.org/&#8221; with your mirror. To see a list of mirrors go here. It will now update your apt-database. After it’s done choose Y to install sidux keyring and then again press y to install it. It installs newer versions of the same. It will install X server components. Now, if you don’t have a Nvidia card step 8 to 9 is not for you, I have no expertise with ATi or any other for that matter so search in Debian Wiki to know how to install them! 10. Done? Good. Now time to install a Desktop Environment! If you want KDE 4.3 read on else refer to the wiki! Why do we do this? So that your X starts automatically to KDM and no need to do “startx” everytime! 13. Now you’re done just reboot and you have KDE 4.3 ! How cool is that? I will teach you how to get a nice bootloader in another guide this was just a basic instatallation guide. So keep reading!